At the 2013 year-end seminar, I was gently reminded by Sifu Ralph Haenel, that my last blog post was in April 2012 about "sticky body"! (I have several drafts waiting from 2012-13, but I haven't gotten around to it). The absence from the blog actually mirrors my absence in WT for the last year. Only intermittent training, but not enough. So, here it is... the first published blog post for this year. Thanks for reading! During seminars, classes, and private lessons, as always there are multiple images and concepts that come up during the instruction and training. I will just choose one for this post, and of course keeping all the other secrets to myself. Sifu Ralph mentioned something about training the motion before adding strength or speed. This reminded me about a figure from the textbook Clinical Sports Medicine, about rehabilitation from injuries. 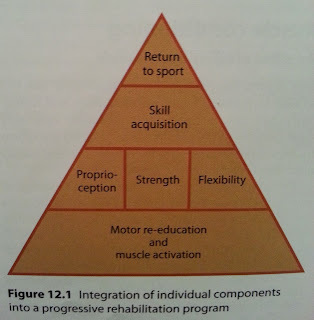 During a rehabilitation program, once pain is controlled appropriately, we start essentially with this pyramid. If you notice, the bottom pillar is motor re-education and muscle activation. Hence we work on forms, partner-supported isometric chi-sau exercises (copyright Sifu Ralph Haenel). And we activate muscles including the core and ones we don't normally use (lats, upper back muscles, abdominals). All of structure makes everything above better, and actually work. In rehabilitation, after the muscles are re-educated and activated, we work on proprioception (definition: ability to sense the position and location and orientation and movement of the body and its parts), as well as strength/flexibility. One could argue that neuromotor control can fit together with proprioception and comes before strength and flexibility. This may be true, but they are all inter-related and probably need to be worked on in a cycle. 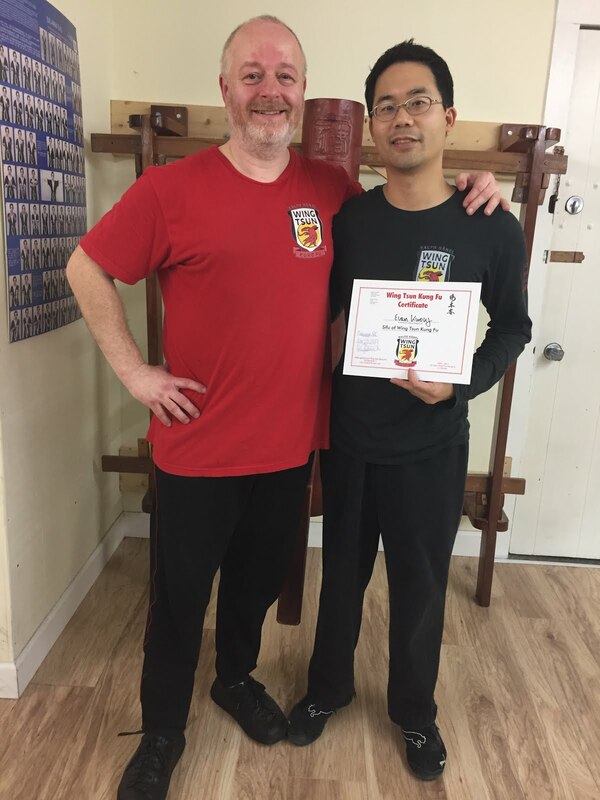 In training, we try and learn new motions and make them fluid, and later add strength, speed, plus working on each of the 10 core concepts (also copyright Sifu Ralph Haenel). The force and fighting principles too. If you also notice, skill acquisition is higher up. This is similar to acquiring new techniques in martial arts. Interestingly enough, we tend to focus on acquiring new techniques to put in our pockets. Being a collector of techniques is completely different than actually performing them with the right neuromotor control, proprioception, balance, strength, speed, flexibility, etc. But learning new techniques is enjoyable, and it gives us a framework to work on those qualities we want to achieve. So, here we are. Learning lat sau programs. Learning chi sau programs. Sure, perhaps I can go through and demonstrate all of the chi sau programs (with some cueing! ), but I'm not to the point of truly knowing and applying them. I can maybe even make it look cool and smooth with a partner, but to do it with substance is an entirely different level. For better or worse, many of us are in the "I want it now" mentality. No patience for horse stances, conditioning, wax on / wax off, building structure... before acquiring the skills. But, it's confusing right? We might need to learn the techniques in order to practice the motion / neuromotor control and then add in strength/speed. Then go back to the techniques again and work on applying them. Cycling through the pyramid. The very top. The golden arch. The holy grail. Let's say return to sport is like applying WT, anything from sparring to actual self-defense. Well, returning to sport after injury also includes returning to drills, then non-contact scrimmaging, then contact practice games, and only then returning to regular season games plus/minus playoffs/tournaments. Truly applying WT in a real-life self-defense scenario maybe more akin to a crucial scoring chance in triple OT during a Game 7 NHL stanley cup final, when your adrenaline is rushing and it really counts. 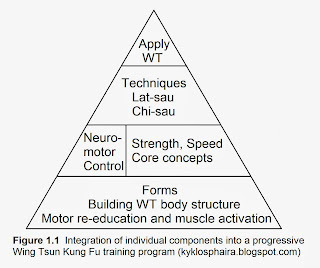 Yes, we do work through all of these levels in all aspects of our training. But think of it like any pyramid concept, wherein the bottom foundations support the top. 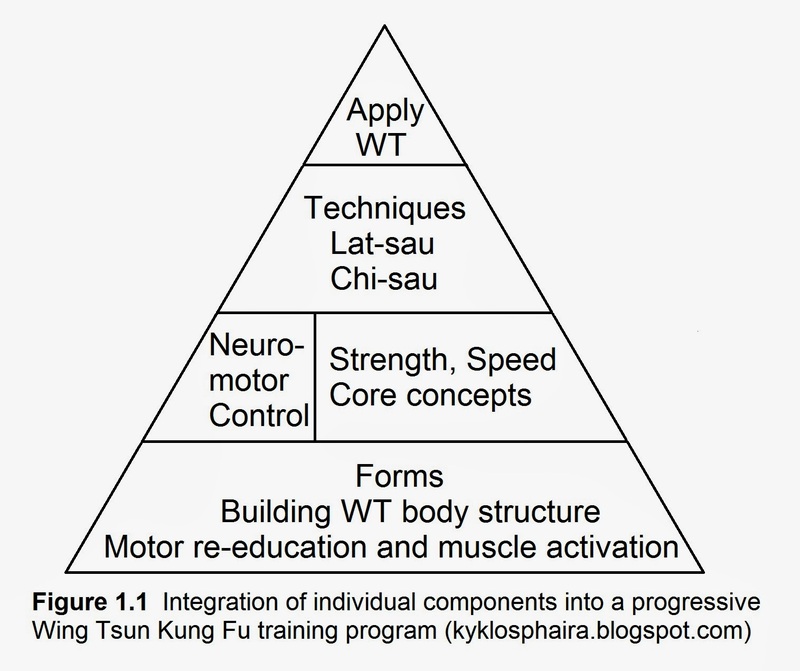 I'll just leave them here, for your own thoughts about about how these aspects may also relate to your WT training.